Zach is truly a dominant Canadian climber, winning gold the IFSC PanAmerican Bouldering Championships in 2018 and again at the Canadian National Open Bouldering Championships in 2019. 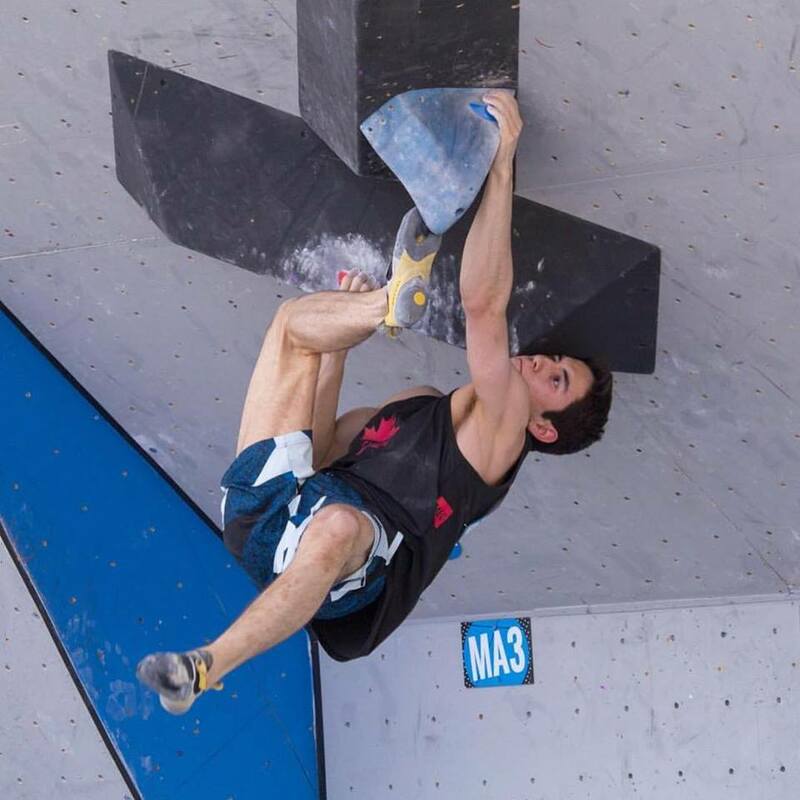 He was the inaugural Canadian Youth Bouldering Champion for his age category in 2015, defended his title the following season and once again in 2018. He is a bouldering specialist and has been representing Canada across the world at IFSC Bouldering World Cup competitions since he was 16. He is currently ranked 6th in the world in his age group. Known for his raw power, dynamic style and passion for climbing, he is always a crowd favourite at competitions. The epitome of hard work and dedication, “BK” is a member of the National Youth Squad as well as the Open Talent ID Squad. Always fighting to the last rep, Bronwen’s dedication to training is evidenced by her strength and muscle every time she pulls onto the wall. Her smile represents her love of climbing and excitement for competing at the big events. When she’s not climbing or training, Bronwen puts whatever finger strength she has left to use playing classical music on the piano. Following in her family footsteps, Lia is pursuing a career in engineering at McMaster University. Her background in gymnastics has provided her with the strength and mobility to find unique ways to the top of a climb. 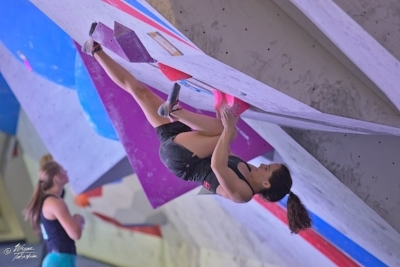 With her rapid progression in climbing ability and consistency on the competition circuit, she has become a familiar face on the Canadian climbing scene. Lia also explores climbing from the creator’s side and shares her ideas and creativity as an active routesetter at Climber’s Rock.